This tailored jacket puts a unique spin on tuxedo style with graduated lapels fusing together wool-blend and satin-twill. 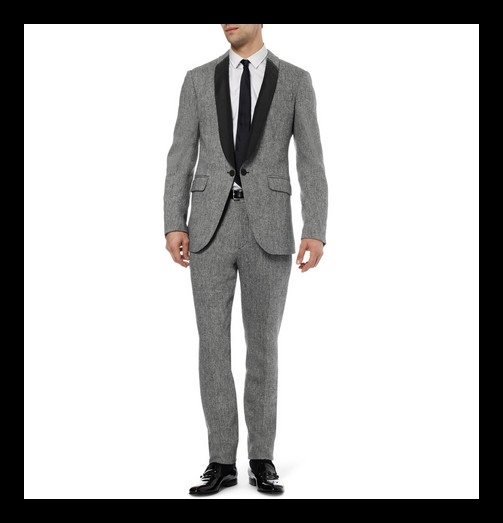 Wear this sharp formal piece with the matching trousers and patent-leather slippers for the most dashing results. I absolutely love your blog and find a lot of your post’s to be precisely what I’m looking for. Would you offer guest writers to write content available for you? I wouldn’t mind publishing a post or elaborating on many of the subjects you write concerning here. Again, awesome website! Yes of course. Always interested in guest bloggers.